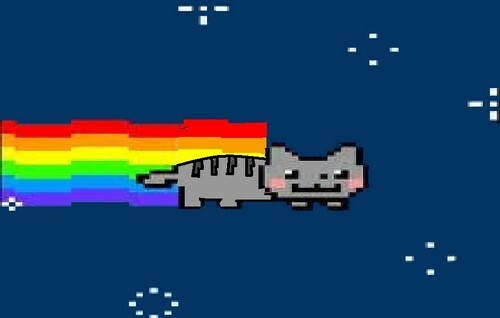 Nyan Cat (Before He Collided With The Poptart). Nyan Cat in the past before he became popular. He WAS a real cat before.. HD Wallpaper and background images in the Nyan Cat club tagged: nyan cat no poptart poptarts nyan cat.